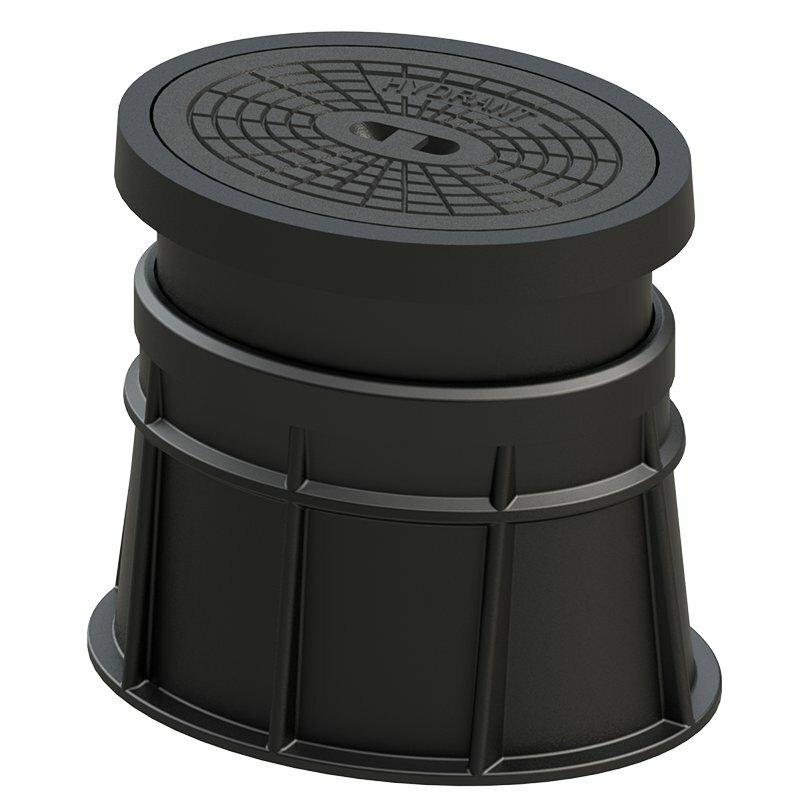 Height adjustable PA-GF surface box for extra large underground hydrants. Cast iron (EN-GJL-200) lid with standard inscription "HYDRANT". Other colours and lid inscriptions possible. Type H-4055VF; height adjustable with Fugenring.